Farm Credit supports rural communities and agriculture with reliable, consistent credit and financial services, today and tomorrow. 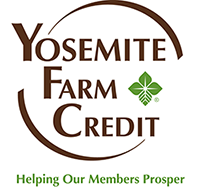 We are a nationwide network of customer-owned financial institutions that provide loans and financial services to farmers and ranchers, farmer-owned cooperatives, rural homebuyers, agribusinesses and rural infrastructure providers. Betteravia Farms and Bonipak Packing Co.